AN UNLIKELY QUEEN is a novelization of the life of Anne Stuart, who ruled England from 1702 to 1714. She was the last in the line of Stuarts that started with James I, son of Mary, Queen of Scots. She is one of the central characters in the recent movie THE FAVOURITE, which focuses on political and romantic intrigue between her and two other women. AN UNLIKELY QUEEN, while fiction, brings together recent research into the lives of Queen Anne and those close to her to provide a more complex, empathetic perspective on Anne Stuart and her tumultuous relationship with Sarah Churchill. It is not just a story about a queen and her favourite; it’s a story about two women finding – and losing – their way in a fiercely patriarchal world in the face of loss, illness, and the ever-present threat of violence. Anne was an unlikely queen because, as the second daughter of James, she was expected to marry well and bear future heirs to secure the line of succession; the idea of her becoming queen seemed unlikely. If James II had not insisted on letting his Catholicism sway political decisions, English history would have probably played out very differently. As it happened, after Charles II died and James II became king, many became very dissatisfied with James as king. When James’ second wife, a Catholic Italian princess, gave birth to a son, all hell broke loose. The result was the Glorious Revolution, which ended with James and his family fleeing to France and William and Mary taking over, with the help of the Churchills and Anne. Mary was James’ older daughter; she’d been married to her cousin, William, so both had dibs on the throne. Anne, meanwhile, did what she was supposed to do – she married George, Prince of Denmark, who settled with her in England, and began a succession of mostly failed pregnancies. She had two little girls succumb to smallpox. Her son, William, who many planned would be the next king, lived until the age of 11. Thus, after Mary then William passed, Anne became queen. With no heir to succeed her, one of the central anxieties of her reign was whether the throne would be passed on to her cousin, a German Protestant, or to her Catholic half-brother, James the Pretender. 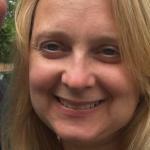 In addition to all the losses she’d endured, Anne suffered from a chronic illness. While at the time doctors thought it was gout, recent investigators have put forth a theory, based on an examination of her symptoms, that she actually suffered from lupus, and that a condition associated with lupus was what caused her many miscarriages and stillbirths. 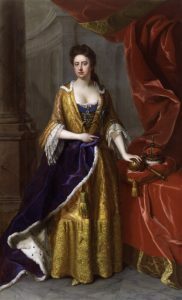 That condition, aggravated no doubt by her increasing weight gain throughout her life, meant she was very dependent on others for her daily tasks as well as help with her royal duties. Sarah Churchill had been Anne’s friend, kind of an older sister, since they were young. Sarah became indispensable to Anne, and when Anne became queen, she was made First Lady of the Bedchamber, Keeper of the Privy Purse, and Groom of the Stole. This meant a lot of responsibility for Anne’s household matters as well as a lot of time spent together. Sarah, however, had ambitions for her family. Her husband, John, became a lauded hero as well as Member of Parliament and one of the queen’s chief advisors, and together they built something of an empire, amassing huge wealth and political influence. When Churchill, who was eventually made the Duke of Marlborough, won a significant military victory, he was gifted land and money to build a grand palace that was to become Blenheim Palace. Understandably, many people were resentful of all their wealth and the favor this couple curried. Any position in the Queen’s household, as well as many other religious and political appointments, were subject to the approval of the Churchills. As a girl, Anne had some intense attachments to other girls, and when she and Sarah became close, she treated her almost like a lover. She always begged Sarah to spend more time with her and wrote her long, adoring letters. While she was happy in her marriage, it was Sarah’s presence she craved. The friendship between Anne and Sarah broke down, however, as they bickered more and more about politics and these appointments. Sarah was a staunch Whig; Anne was more of a Tory, though she strove to rise above party politics. However, the Whigs supported and funded the war efforts, which, for a while at least, Anne fully supported. Sarah also believed many Tories were Jacobites, a group who sought to restore the throne to James’ son. Sarah installed a poor cousin of hers, Abigail Hill (later Lady Masham), as a woman of the bedchamber to Anne. These servants performed the more menial work; and often, the more intimate ones. Abigail was extremely competent and, apparently, she and Anne hit it off. Away from court more frequently, Sarah did not comprehend how close to the queen Abigail was becoming. She discovered that Abigail was a means for Anne’s meetings with Robert Harley (later Earl of Oxford), who’d until recently been a close ally but was now working against Churchill and the Lord Treasurer, Sidney Godolphin. Sarah became even more suspicious when she found out that Abigail had married in secret and that she also spent hours alone with the queen in her bedchamber. She believed Abigail was poisoning the queen’s mind against them by using Anne’s tendency to become attached to other women. As Sarah’s relationship with Anne broke down, she even resorted to accusing Anne of improper behavior with Abigail and threatening to make Anne’s amorous letters to Sarah public. She continued to harangue her about political decisions. Eventually, Anne would not assent to even see Sarah in private. She was loathe, however, to dismiss her, for fear of losing John and that Sarah would carry out her threats. Sarah did not publish the letters, but she did join forces with a writer and helped publish anonymous, scathing attacks on the queen and Abigail. Soon many turned against Abigail and and were calling for her removal. However, many were also unhappy with the Churchills’ power, privilege and conspicuous wealth, and Sarah and John found themselves subject of attacks, too. Finally, after a series of incidents with Sarah, Anne decided she’d had enough. Sarah was let go, as well as John and Sidney Godolphin. Robert Harley and his allies took the place as the queen’s chief advisors. The Churchills’ palace construction at Blenheim was put on hold and, after John was accused of financial mismanagement, the couple moved to the Continent. Things, however, did not get any easier for Anne. She’d lost perhaps her greatest friend and champion. She grew sicker and sicker, and eventually, once Harley revealed his true colors – he was negotiating peace terms without the queen’s knowledge – he, too, was dismissed. In late July 1714, Anne suffered a stroke and on August 1, she passed away. She’d suffered immense losses and hardship in her life, and her doctor mused that nobody welcomed rest more than her. 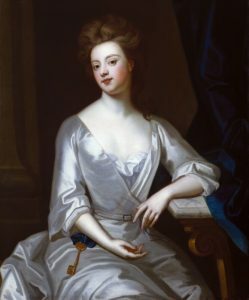 Under Anne’s reign, England saw some significant military victories, thanks to Commander Churchill, the Duke of Marlborough. The unification of England and Scotland also came about under her watch. Anne was not a shrewd queen, but she did her best and she made the decisions she thought was best for her country. The Churchills returned to England just before the coronation of Anne’s cousin, George of Hanover, to help usher in a new age of English history. Sarah Churchill grew to be an old woman, outliving her husband and several of her children. She published her memoirs of her time serving the queen and for many years, she had the last word on that time in history, influencing many historians’ views of Anne. In the past decade, though, new research into Anne shows a more complex person. My novel, AN UNLIKELY QUEEN, strives to give her voice and bring her back to life as a real, breathing, woman of her age, caught in the crossfire of history. The novel manuscript of AN UNLIKELY QUEEN is approximately 420 pages and is now available for review by agents and publishers. Please contact me at alyssabcolton@gmail.com if interested.